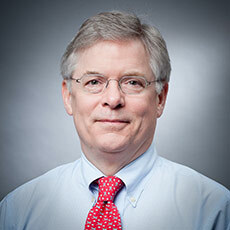 Arthur Zerbey, MD is a board certified diagnostic radiologist. He received his medical degree in 1988 from the University of Minnesota Medical School, where at graduation he was awarded both the Lange Book and University President’s awards for student service. Following an internship in Internal Medicine at Boston University Medical Center, he completed his diagnostic radiology residency at Lahey Clinic in Burlington. He was Chief Resident during his final year at Lahey Clinic. He then completed a fellowship in Abdominal and Genitourinary Imaging and Interventions at the Massachusetts General Hospital. He subsequently earned a certificate of advanced qualifications in Interventional Radiology from the American Board of Radiology. He is a partner in L&M Radiology and serves on the L&M Executive Committee. He has served for many years as the Medical Director for the Radiology Technology program at Northern Essex Community College. He is also on the medical staff of the Sykes Health Center at Phillips Academy in Andover Massachusetts. Dr. Zerbey has special interests in breast, body and musculoskeletal imaging, and is proficient in a wide variety of image-guided procedures. In his role as a breast imager he performs numerous US-guided and stereotactic breast biopsies, and also reads breast MRI. Dr. Zerbey is a member of the American College of Radiology, the Radiologic Society of North America, the Massachusetts Medical Society, The Massachusetts Radiologic Society, The New England Roentgen Ray Society and the Essex County Radiological Society. He is the author of several papers and book chapters and received a Certificate of Merit for a presentation at the American Roentgen Ray Society annual meeting. Dr. Zerbey lives in North Andover with his wife and two teenaged daughters. He is an amateur musician and flies small airplanes in his spare time.